Aesop Parsley Seed Anti-Oxidant Facial Hydrator (60ml) is an ultra-nourishing moisturiser that delivers a generous amount of botanicals, vitamins and essential oils to hydrate and protect your skin. 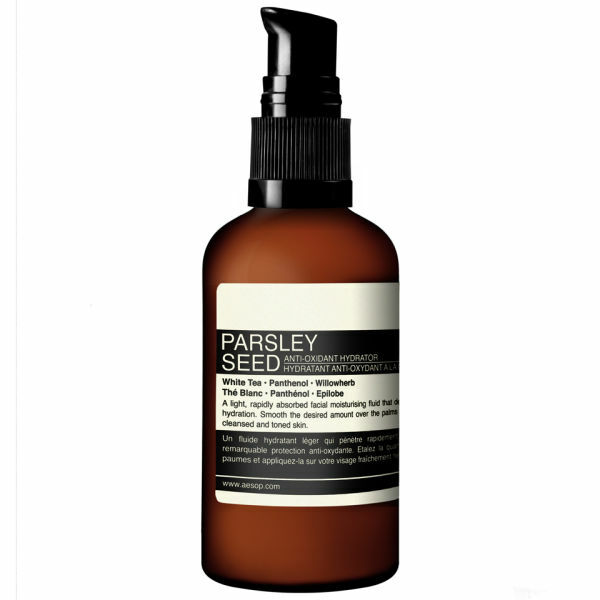 Enriched with antioxidants of Parsley Seed Extract, White Tea and Willowherb, as well as Panthenol and seven essential oils, it strengthens your skin's barrier function to shield it from pollution and harsh evironments. The lightweight formula won't feel greasy on your skin, and will leave you with a soft, smooth and supple complexion. Apply a small amount to a cleansed face and neck, morning and night. Just received the package and I'm rather pleased to find that Mankind made an huge improvement in packing this time! Every product is wrapped in an elastic net and a bubble bag separately, sealed and fastened all together with an extra plastic wrap so they don't move around in the box. Mankind will probably be my favorite place to purchase Aesop products! This hydrator may fit most skin types. I have used it twice a day. No stimulation and well moisturization. You'll want to buy it! This product is great! I only use this product during winter because my skin gets really dry. However, the hydrator does not make your skin overly oily yet keeps you skin from flaking and drying. The hydrator does not have a particularly aromatic scent, but it's not a repulsive scent so it's not too bad. 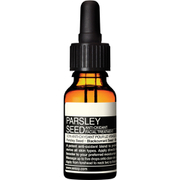 This Aesop Parsley Seed Anti-Oxidant Facial Hydrator is perfect for my skin and overall it has become much better after using it.